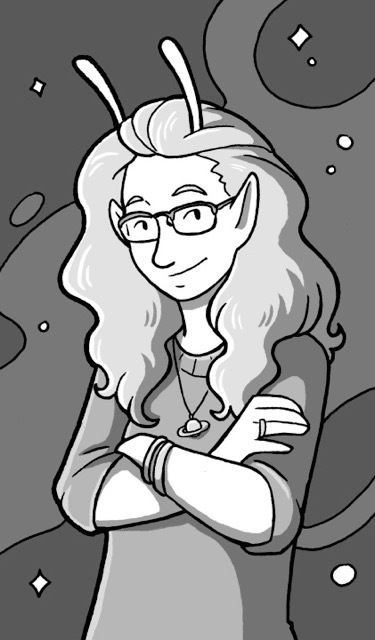 Today we feature middle grade author M.G. Hennessy and her debut novel THE OTHER BOY (HarperCollins). Be sure to enter to win a copy! I live in Los Angeles (although I root for the SF Giants) and I’m a huge Star Wars nerd. I have two tweens who are both avid readers, and I wanted to write something they could enjoy. I also think there’s a critical need for more stories with transgender and gender expansive characters. Kids who identify as LGBTQ need to see themselves reflected in books, and cisgender kids need a window into the lives of trans characters like Shane to understand and develop compassion for them. 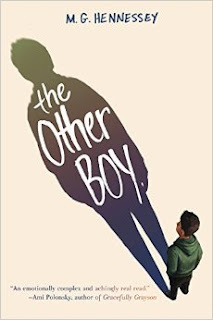 Congrats on your new book, THE OTHER BOY. Tell us about the story and what inspired you to write it. This book stemmed from a trans boy who’s very special to me. I volunteer for an amazing organization called Lifeworks at the LA LGBT Center, helping to mentor trans kids through their transitions. One tween boy told me that there weren’t a lot of books about trans kids for his age group, and the only ones that existed mainly focused on trans girls and their transition. He also complained that there were no books about kids like him, who chose to live stealth (keeping their trans status private). He said, “It’s like everyone thinks that after you transition, it’s all happily ever after, but that’s not really true.” I realized he was right; so based on that conversation I came up with the idea for Shane, a trans boy who has already transitioned, but has chosen to live stealth. What was most important for me was to show that Shane is just a regular kid: he likes video games, baseball, and drawing (my extraordinary illustrator Sfé R. Monster produced the graphic novel within the book). Shane is also dealing with his first crush, issues with his best friend, and complications from his parent’s divorce. I wanted him to be relatable on a lot of different levels, so that any kid could pick up the book and empathize with what he’s dealing with. What made you decide to write about a transgender boy as a middle grade novel? There’s a dearth of LGBTQ stories in middle grade fiction. Mainly I think that’s because people frequently confuse gender identity with sexual identity, when they’re not actually the same thing at all. So there’s a mistaken assumption that stories about trans or gender expansive kids are “inappropriate” in some regard, while in truth this is just another aspect of diversity. Because of this, LGBTQ-themed books frequently get put in their own section of bookstores and libraries, which is problematic because I worry that kids who don’t identify as such might think those books aren’t for them. No one would claim that Wonder is only for kids with facial birth defects, but people seem to assume that books featuring trans characters are only for trans people. To achieve empathy and understanding, it’s so important for kids to read books about people whose lives are different from theirs in all sorts of different ways. I’m hopeful that we’ll get to the point where transgender and genderqueer characters are included in stories that aren’t entirely about gender identity; that’s when we’ll have achieved true equality. But I’m afraid we’re not there yet. Was your road to publication long and windy or short and sweet, or something in between? It was actually shockingly smooth, I’m almost embarrassed to say- The Other Boy went to auction, with four editors vying for it, which was truly thrilling. And I had a lot of input on the cover, too, which is rarely the case for authors. That's amazing and inspiring. What projects are you working on now? My next upper middle grade book is called THE ECHO PARK CASTAWAYS (AN EPIC QUEST). It’s about four foster children who embark on a “quest" to reunite one of them with his mother. Along the way, they end up forming their own found family. It’s set in Echo Park, Los Angeles- I think of it as sort of a cross between Stand by Me and The Boxcar Children. It should be released in 2018. Even if you only manage to write a page a day, by the end of a year you’ll have a book. So don’t give up! I think M.G. Hennessey makes an excellent point: Wonder isn't just for children with birth defects. I like that this character is a well-rounded kid. Being transgender is just one part of him. It doesn't seem like the issues are very easy. --Great cover design! I would love to find books in which character's sexual identity wasn't the focus of the plot. Someday, they will just be included as an accepted person involved in the story. Congrats on your book and your writing career. We are fortunate you are putting these characters in your books. I really love the cover. This sounds like a great book for all kids to read! !